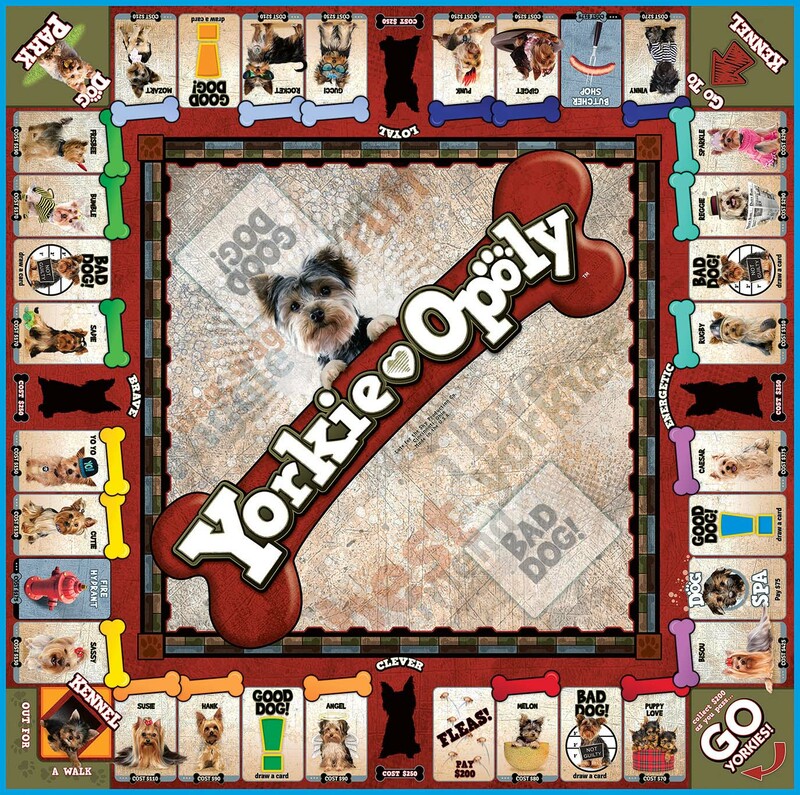 Shih Tzu-opoly is a game of tail-wagging fun! 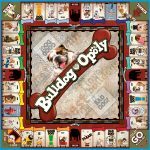 Collect your favorite Shih Tzus and play hard! LIVELY, ALERT, FRIENDLY… MEET THE SHIH TZU! The ancestors of today’s Shih Tzu breed are among the most ancient of dog breeds. These dogs were cherished by Chinese royals as prized house pets for over a thousand years. The word Shih Tzu means “lion” and although this dog is sweet and playful it is not afraid to stand up for itself. The traditional long silky, glossy coat that reaches the floor requires daily brushing to avoid tangles. Often the coat is clipped short to simplify care. Happy and hardy and packed with character, the gentle and loyal Shih Tzu offers a lot of dog in a small package. 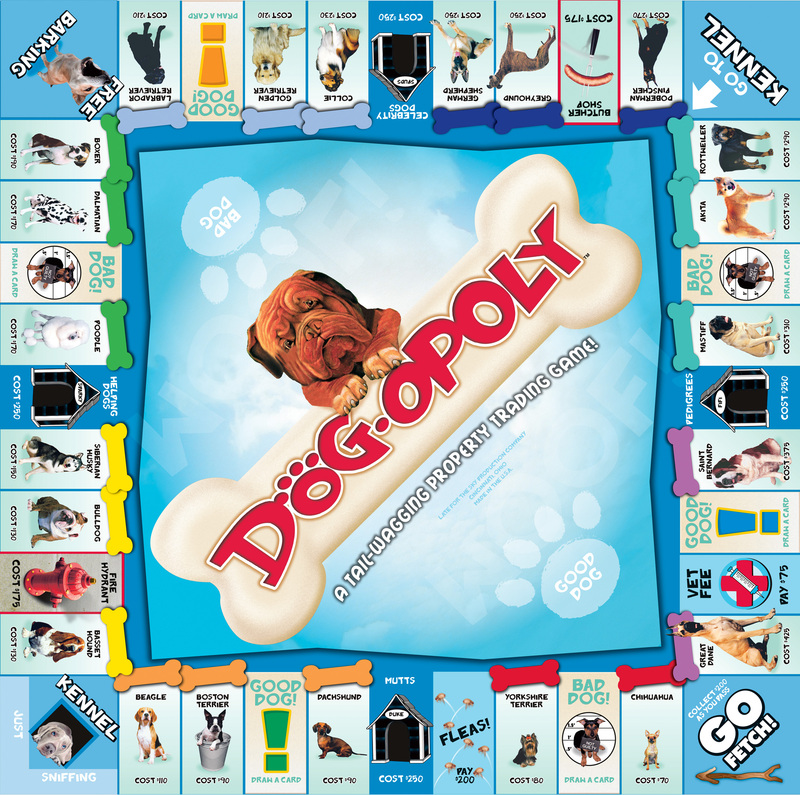 Increase your rent by buying Toys for your dogs and upgrading them to Big Bones. Sounds easy enough until you get fleas, have an accident on the carpet, or worse yet, get sent to the kennel! 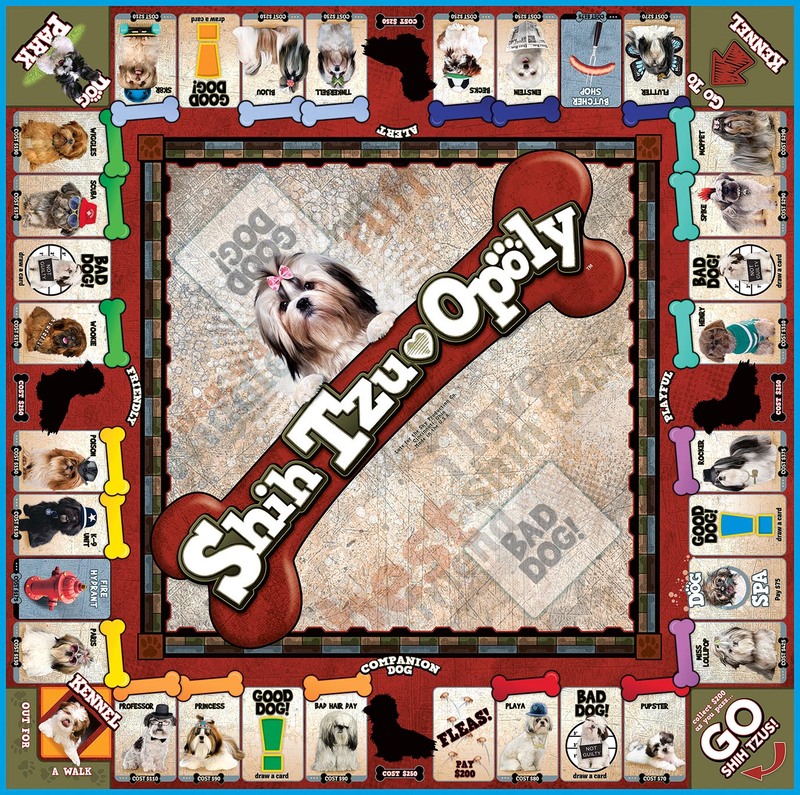 GRAB YOUR TOKEN AND ADVANCE TO GO SHIH TZUS! Who knows! You may soon be Best in Show or going in for vaccinations!